Apple has made significant efforts to dominate the phone and tablet an industry and one could argue that they have had the most success out of any tech company through the iPhone and iPad. In attempt to coattail the popularity of the devices just mentioned, Apple takes their chance at dominating the TV industry through their Apple TV. The latest Apple TV is considered the 4th generation Apple TV, and are a available at a 32GB model at $149 and a $64GB model at $199. With dimensions of 1.4 x 3.9 x 3.9 inches, the Apple TV doesn’t take up much space. The Apple TV is powered by the A8 processor, which has a max CPU clock rate of 1.5 GHz. The Apple TV is has Bluetooth connectivity technology as well as 802.11ac Wi-Fi capabilities. With the included Siri Remote, users can have ultimate control over their Apple TV through it’s voice control features as well as its glass touch surface. Moving on to what the Apple TV looks like in use, the system uses applications rather than channels for the user’s TV experience. Some of the most popular streaming apps, such as Netflix and Hulu, are examples of Applications that are available for download. It is worth noting that specific apps will require individual subscriptions such as the ones mentioned, and some apps will require a TV provider subscription to view. Most all of the major TV channels have already developed high quality applications, as they see the trend of TV applications taking the TV market by storm. One example of this is watchESPN, which streams live ESPN content, and requires you to login through your provider. With the TV application, users can have a comprehensive viewing location, as the app gives you access to multiple video apps. The TV app also makes it possible to view from your iPhone and iPad, giving you the convenience of watching wherever you so desire. The “Up Next” feature remembers the content you have started watching so you don’t have to worry about what that show or movie you were watching was. Siri is one of Apple’s token features, and the Apple TV has no shortage of the infamous artificial intelligence’s integration, through the means of the Siri Remote. The user can either use the buttons or touch glass on the remote to navigation, or you can simply tell Siri what you want, and she will take care of it for you. With compatible “smart-house” technology, Siri can use voice controls such as “set the thermostat to 70 degrees” or “lower the living room brightness” to make your house more comfortable. You can further control your Apple TV system on your iPhone or iPad through the Apple TV remote application, giving you access to the keyboard for quicker typing as well as other features. In other entertainment, the Apple TV gives users the ability to play games, listen to music, put pictures on the TV, and much more. With combatable technology such as the SteelSeries Nimbus gaming controller, the Apple TV can serve as a awesome gaming experience combined with your TV system. Apple really started catching popularity during the boom of digital music through their iPods, so it is no coincidence that the Apple TV has Music streaming capabilities. For those that want to jam to their music through their surround sound system in the living room, it is no easier than ever. Have you ever wanted to show a big group a photo or video and didn’t want to have pass your phone around to every single person? With the Apple TV, you simply have to share your photos and videos to your iCloud and then you can play them on the big screen with no hassle. With AirPlay, you can mirror the content onA your iPhone, iPad, Mac, or iPod for another easy method of sharing content to a larger group. 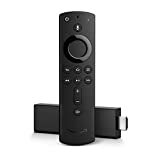 Amazon Fire TV is Amazon’s product for streaming all sorts of content from the internet straight to your TV. Powered by the Qualcomm Krait 300 quad-core, the Amazon Fire’s processing power achieves 1.7 GHz. It’s internal memory currently stands at 8GB in its second generation, which is noticeably lower than Apple’s 32GB TV, although external mass storage devices are compatible with the Fire. With Amazon’s Fire the customer has access to over 7,000 apps and games, including Netfix, Amazon, HBO Now, History Channel, Hulu, WatchESPN, and many more. If you watch it regularly through your regular TV provider, then Amazon Fire most likely has it. Some applications will require a subscription to that particular app or will require a TV provider subscription. There are a plethora of free games to be enjoyed, and movies can be rented for as low as 99 cents. Alexa, Amazon’s voice service, has the capability to answer just about any question you can think of, and responds to a large amount of requests that you want your Fire box to do. Amazon’s fire TV streams movies and TV in 4k Ultra HD, so you don’t have to worry about visual quality when you stream. Included is a Bluetooth remote that has voice capturing features. The Fire is a generally well received, with averages across the internet usually falling between the 8.5 to 9 out of 10 range. Its low price and access to thousands of apps make it a very attractive option to those looking into TV streaming devices. The latest installment of Roku’s digital media players is the Roku Ultra. Its quad-core processor makes it lightning fast in its response time. Featuring 4K Ultra HD or 1080p HD, the Roku Ultra is guaranteed to provide one of the highest quality pictures. Combine that with HDR color, and the Roku Ultra will present a scene that makes you feel that its literally right in front of you. Roku’s remote is one of the best remotes out there. With the Lost Remote Finder, you simply press a button on your Roku Ultra, and the remote will make a sound telling you where it is at. The Roku remote also has a headphone jack for private listening, buttons for gaming, and voice recognition technology. 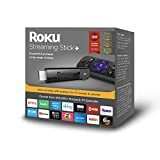 Roku’s store offers just about every channel you can think of. With over 350,000 movies and TV, odds are that if you want to watch it, you can get it. With the Roku Mobile app, you aren’t confined to the room of your TV to get your viewing experience. With 802.11ac wireless dual-band MIMO technology, the Roku Ultra has one the speediest internet connections that won’t have you waiting for a buffer. 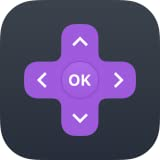 Both Apple and Android devices can be connected to a Roku Ultra for sharing photos or videos for playback on your TV. Sling TV differs from the products discussed above in that it isn’t a physical box that streams, but rather it is an app or website in which you can stream from. For instance, Sling TV is available to be streamed on all of the smart TVs that were talked about as well as most mobile devices. Sling TV offers three paid membership choices, and those are options for $25 per month for the lowest number of channels and $40 per month for all channels on Sling (50). There is the option to add more channels for an additional cost. Sling TV differentiates itself from the traditional TV service in that there is no long-term contract and strictly is per month subscription. Sling TV users do not get near as many channels as basic cable users. Sling TV is mainly just live streamed TV, meaning you don’t always get on demand features that you do from other streaming services like Netflix. You can’t watch every episode of your favorite show, so essentially it is just a cheaper form of cable, but with the opportunity to view on multiple devices but with less channel options. Regarding the digital media players of Apple TV, Amazon, Fire, and Roku Ultra, let’s get one thing straight: You will still have to have a TV provider subscription to watch many of the live things on TV. If you are a Netflix, Hulu, or Amazon Prime watcher, than any of the devices will serve you well in that field, but you will still have to pay those monthly subscriptions. So which digital media player is the best choice? It’s a pretty level playing field in terms of their capabilities. They are all powered by quad-core processors, they all provide 4k Ultra HD, they all have bluetooth remotes, and they all have the latest Wi-Fi technologies. Apple TV’s advantage is this: it’s Apple brand. There are those that simply love Apple products because of their favorable user interface and simplistic connectivity between Apple devices. So if you have an iPhone, Mac, iPad, or any combination of the 3, and you love them, you are almost guaranteed to love the Apple TV. It is the most expensive of the 3 players addressed, but it isn’t at a price point that will break the bank if you’re simply in the market for a player. It’s got great features in Siri and HomeKit, and a huge selection of apps will always keep you entertained. Amazon’s Fire is the cheapest option out of the 3 players, but that doesn’t indicate that it’s selection of entertainment is cheap. If you’re an Android user, and you enjoy that user interface, the Fire is a great option for you. It’s competitive advantage is that it is a low cost option that still has the capability of any other player, but it does only have 8GB of internal memory. If you’re predominantly going to be streaming rather than downloading content, then the Fire is the way to go. Also, if you are an Amazon Prime user, then that application will only be available on the Fire and Roku. For the Roku Ultra, its comprehensive coverage of applications is its competitive advantage, as it has almost everything that you can think of available to its users. The exclusive Apple apps are typically what you won’t be able to get on the Roku Ultra. The Ultra is a bit more expensive than the Fire, but less expensive than the Apple TV, so its middle price is a good deal for all that it offers.SlingTV is available on all of the media players listed, but its advantage is that it offers Live TV at a cheaper price. Its narrow selection of channels is a concern, but its accessibility to mobile devices is a plus. Sling is a monthly subscription whereas the media players are a one time purchase, but the content viewed on them will a monthly charge. If you want to use Sling TV as simply a cheap way to watch cable, then you are still going to have to buy a media player to view it on your TV unless you just want to watch on your computer or phone. In conclusion, if you aren’t picky about Apple products or having the most available channel apps, go with the Amazon Fire. It is the most comprehensive player in terms of features and apps at the best price. Most people use digital media players for Netflix and some of their favorite primetime shows, but if you happen to be a Prime user, that’s even better for you. Currently, the Amazon Fire TV is under $100 on Amazon and that includes free shipping.